Media Education Coverage: An Oxymoron? Retiring Superintendent Art Rainwater’s view on the District’s structural deficit and the decline in it’s equity (Assets – Liabilities = Equity; Britannica on the The Balance Sheet) from $48,000,000 in the year 2000 to $24,000,000 in 2006 (it is now about 8% of the budget or $20M). (See Lawrie Kobza’s discussion of this issue in November, 2006. 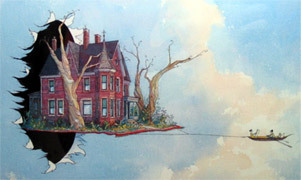 Lawrie spent a great deal of time digging into and disclosing the structural deficits.) Art also mentioned the resulting downgrade in the District’s bond rating (results in somewhat higher interest rates). Marj asked an interesting question about the K-1 combination and staff scheduling vis a vis the present Teacher Union Contract. Lucy asked about specials scheduling (about 17 minutes). Maya asked about the combined K-1 Art classes (“Class and a half” art and music) and whether we are losing instructional minutes. She advocated for being “open and honest with the public” about this change. Art responded (23 minutes) vociferously about the reduction in services, the necessity for the community to vote yes on operating referendums, ACT scores and National Merit Scholars. Beth mentioned (about 30 minutes) that “the district has done amazing things with less resources”. She also discussed teacher tools, curriculum and information sharing. Ed Hughes (about 37 minutes) asked about the Madison Family Literacy initiative at Leopold and Northport. Lucy inquired about Fund 80 support for this project. Maya later inquired (45 minutes) about a possible increase in Wisconsin DPI’s common school fund for libraries and left over Title 1 funds supporting future staff costs rather than professional development. Beth (about 48 minutes) advocated accelerated computer deployments to the schools. Lucy followed up and asked about the District’s installation schedule. Johnny followed up on this matter with a question regarding the most recent maintenance referendum which included $500,000 annually for technology. Lucy discussed (52 minutes) contingency funds for energy costs as well as providing some discretion for incoming superintendent Dan Nerad. But the marketplace will ultimately expose any gaps between assessment and true market value. And that could force local governments to choose between reducing spending (not likely) and hiking the mill rate (more likely) to make up for the decreasing value of real estate. Pity the poor homeowners who see the value of their home fall 10%, 20% or even 30% with no corresponding savings in their property tax bill, or, worse yet, their tax bill goes up! Therein lie the seeds of a genuine taxpayer revolt. Brace yourselves. It’s gonna be a rough ride. The Wisconsin Department of Revenue noted recently that Wisconsin state tax collections are up 2.3% year to date [136K PDF]. 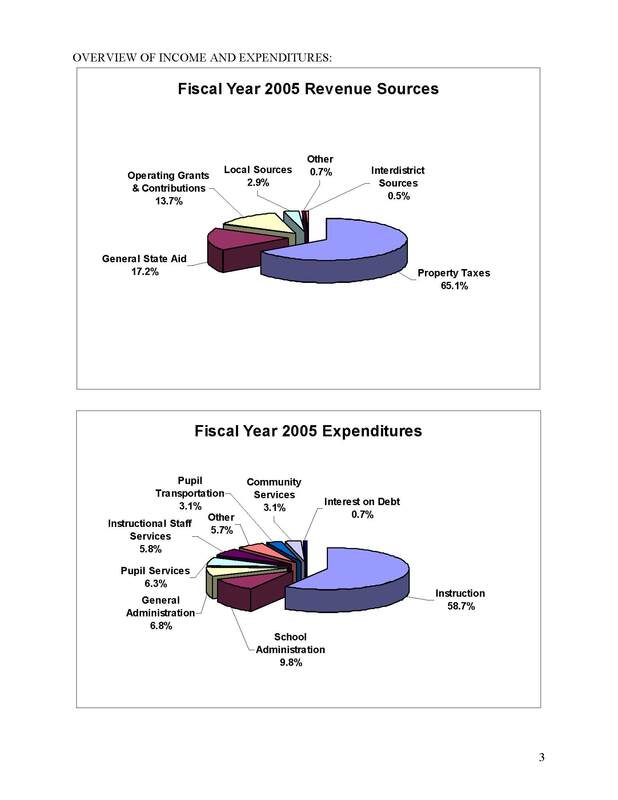 Redistributed state tax dollars represented 17.2% of the District’s revenues in 2005 (via the Citizen’s Budget). The budget for Montgomery County’s public schools has doubled in 10 years, a massive investment in smaller classes, better-paid teachers and specialized programs to serve growing ranks of low-income and immigrant children. That era might be coming to an end. The County Council will adopt an education budget this month that provides the smallest year-to-year increase in a decade for public schools. County Executive Isiah Leggett (D) has recommended trimming $51 million from the $2.11 billion spending plan submitted by the Board of Education. County leaders say the budget can no longer keep up with the spending pace of Superintendent Jerry D. Weast, who has overseen a billion-dollar expansion since his arrival in 1999. Weast has reduced elementary class sizes, expanded preschool and kindergarten programs and invested heavily in the high-poverty area of the county known around his office as the Red Zone. Montgomery County enrolls 137,745 students and spent $2,100,000,000 this year ($15,245/student). Madison’s spending has grown about 50% from 1998 ($245,131,022) to 2008 ($367,806,712) while enrollment has declined slightly from 25,132 to 24,268 ($13,997/student). I’ve not seen any local media coverage of the District’s budget this week.